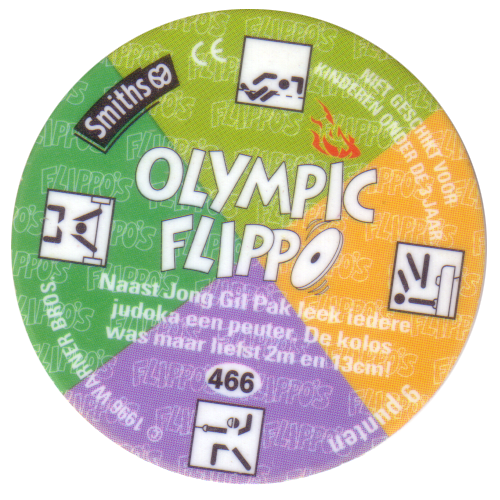 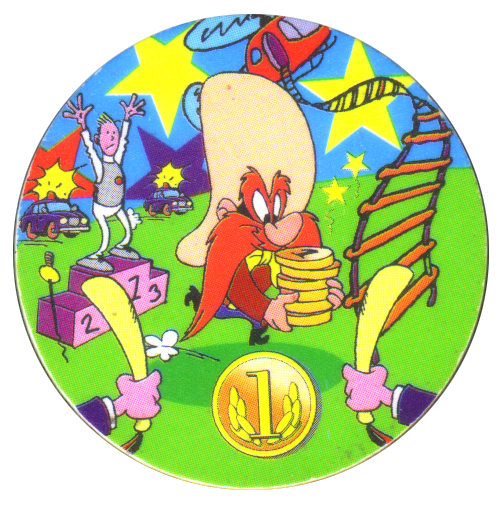 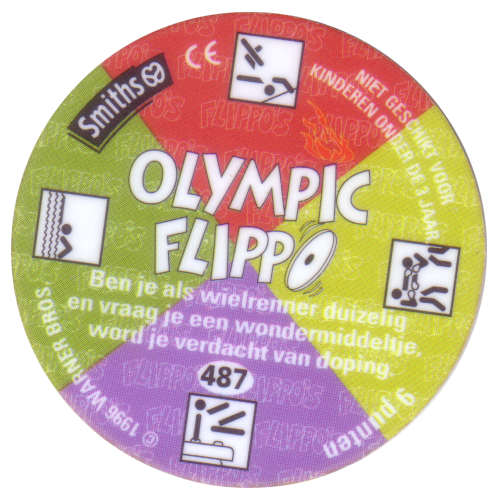 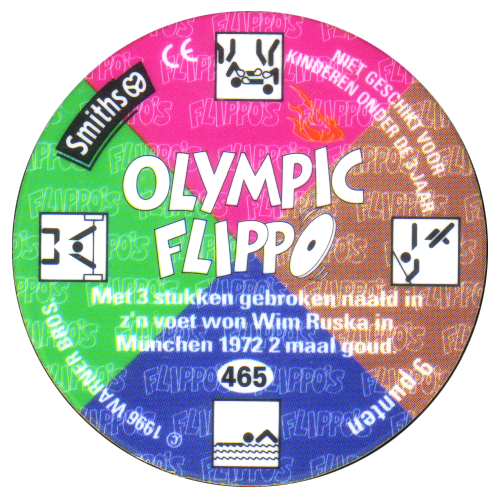 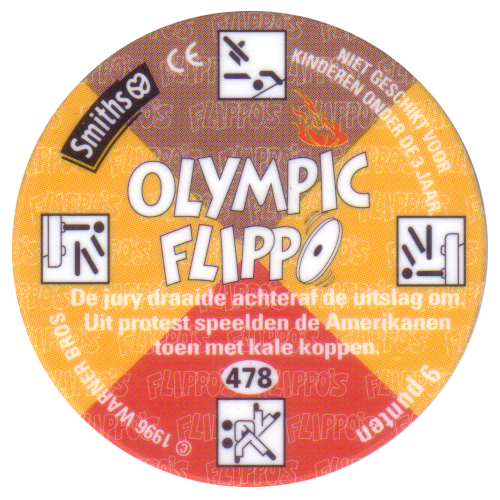 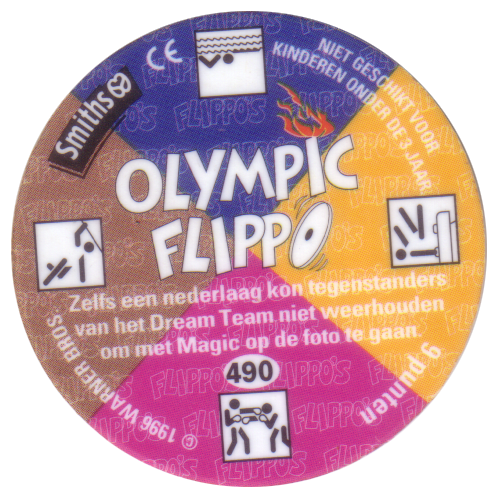 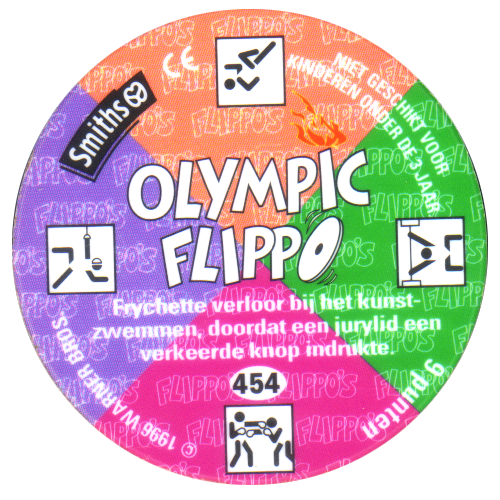 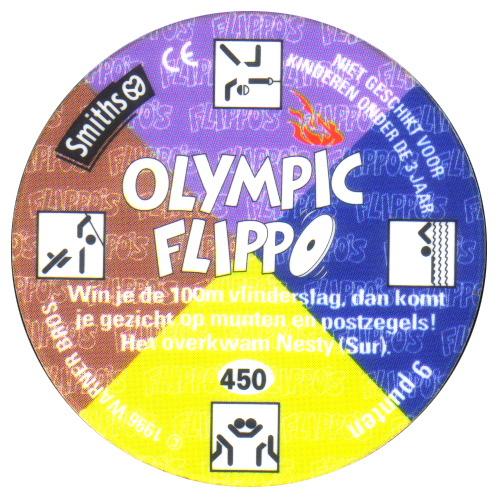 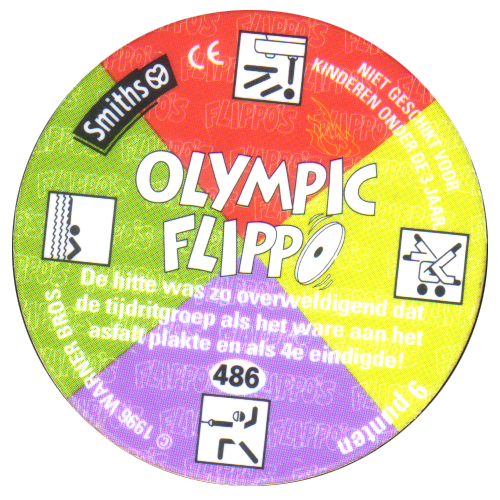 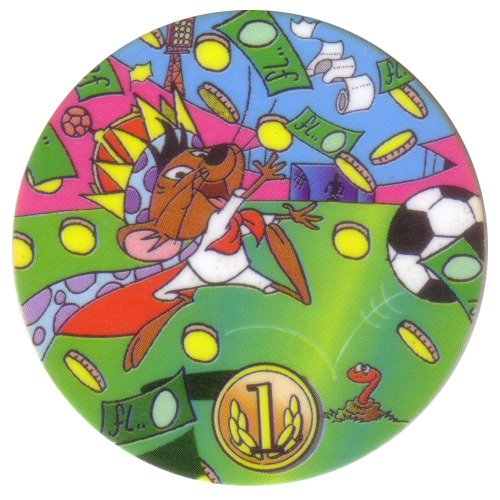 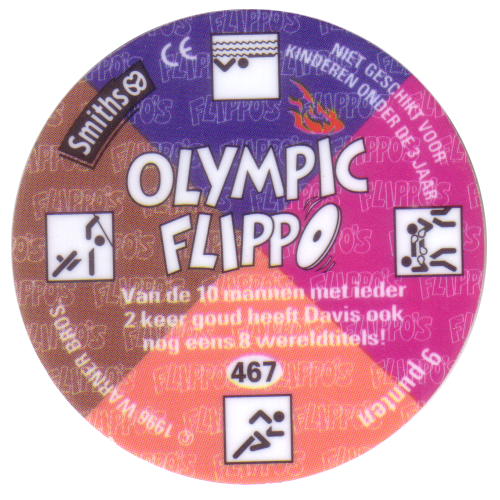 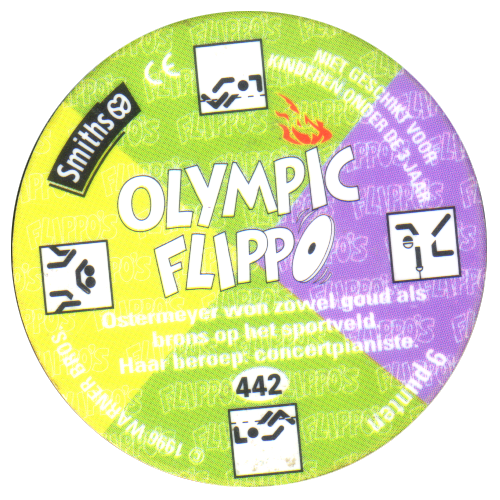 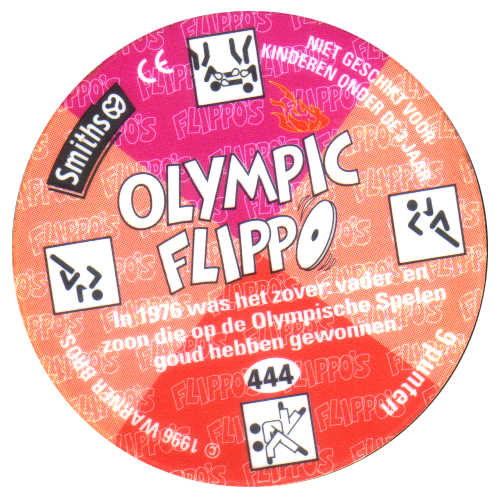 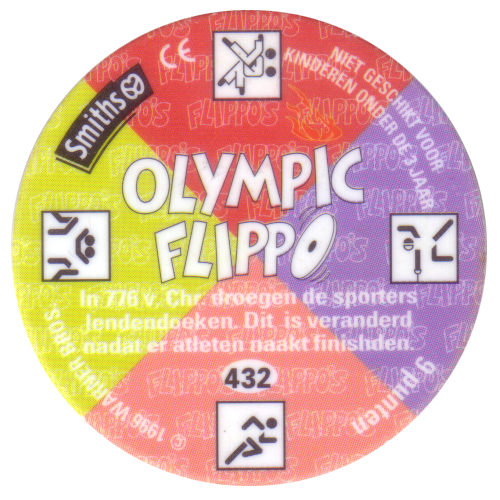 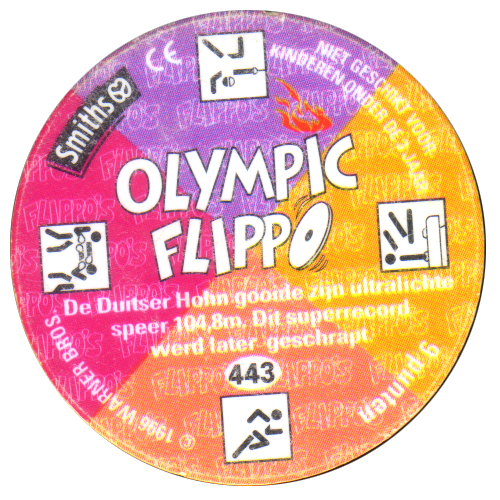 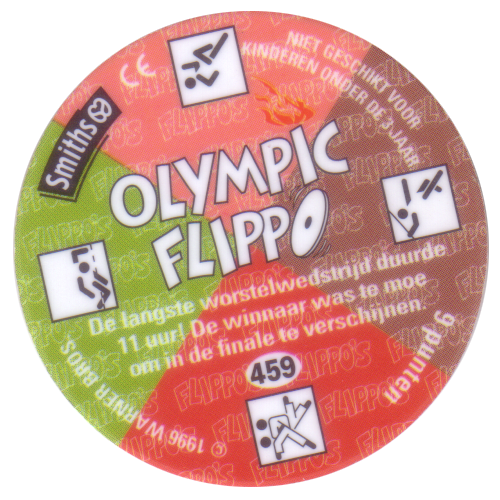 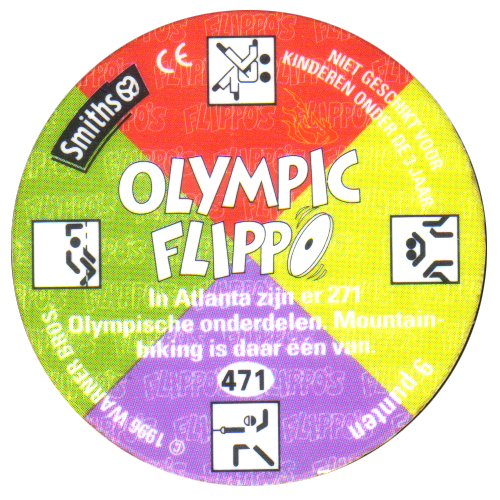 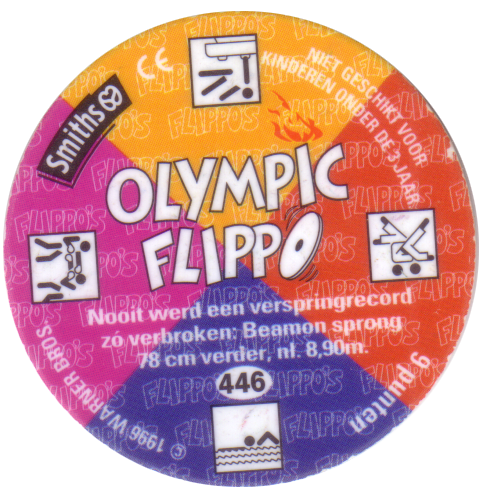 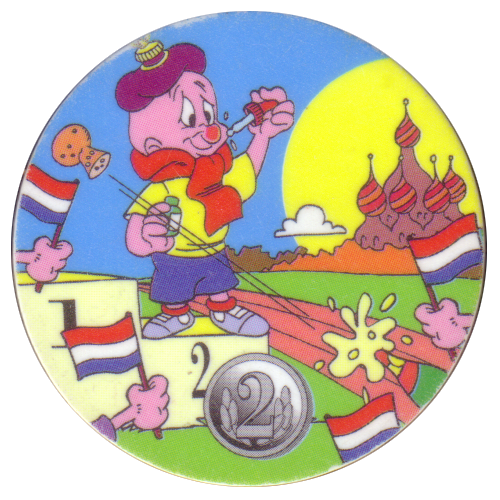 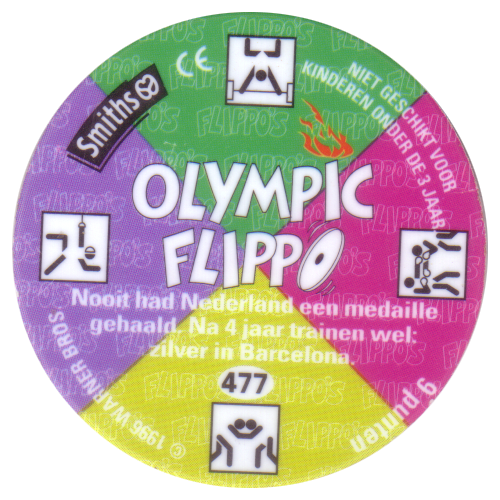 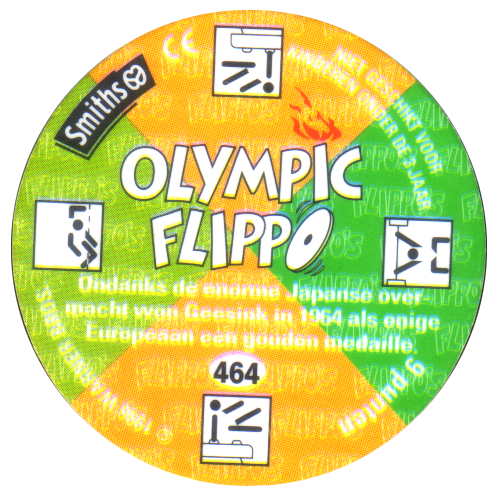 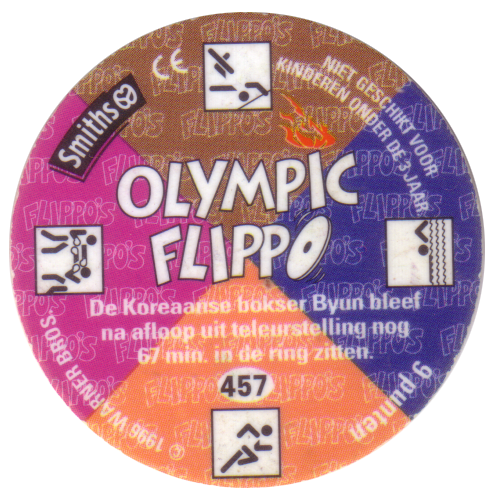 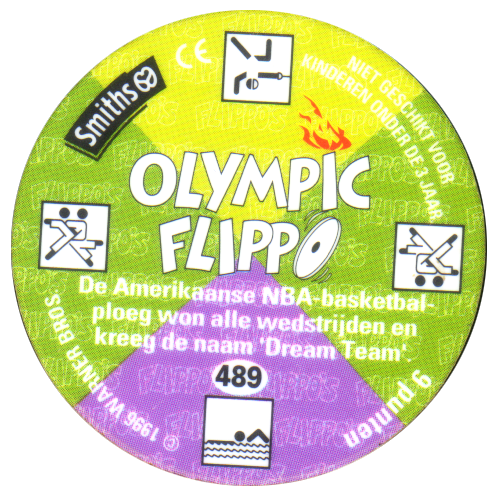 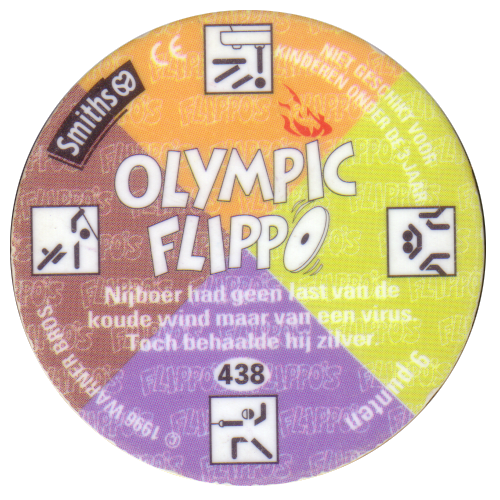 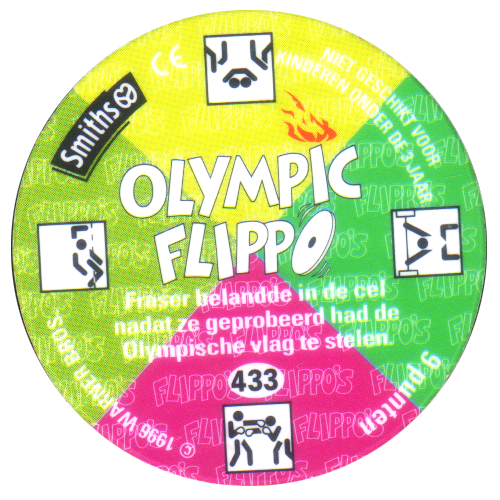 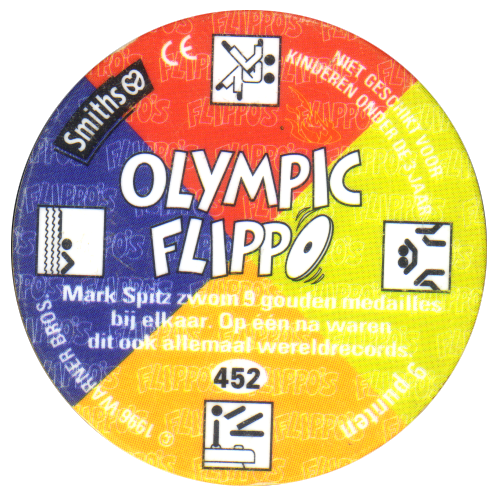 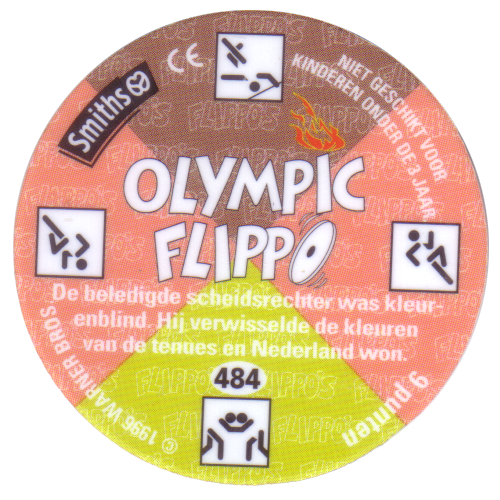 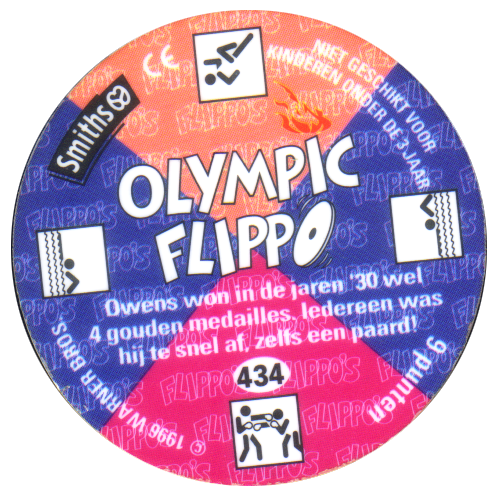 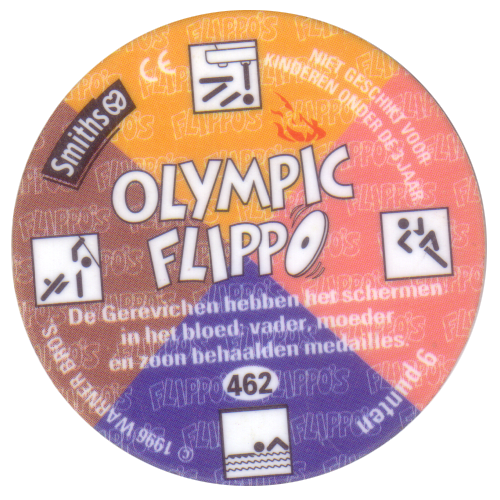 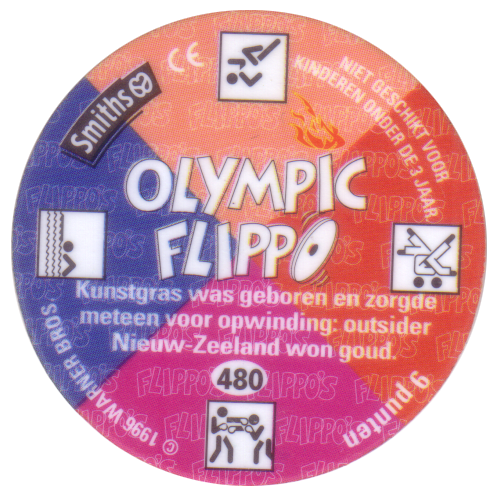 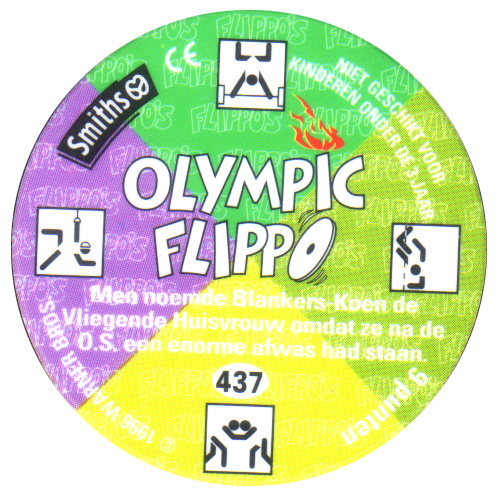 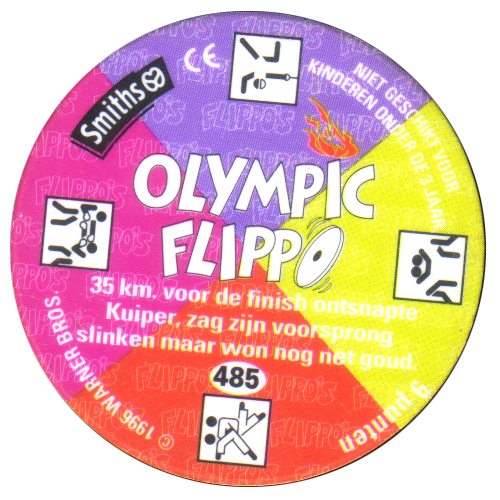 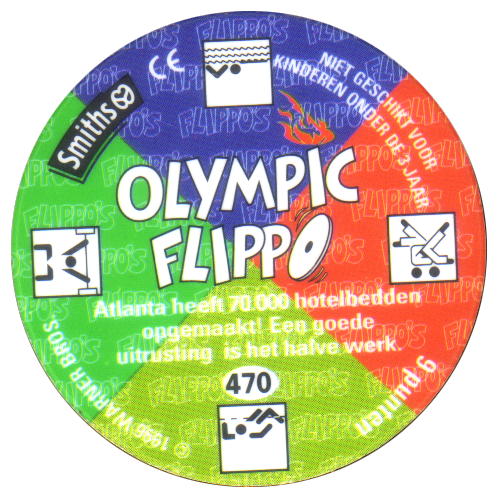 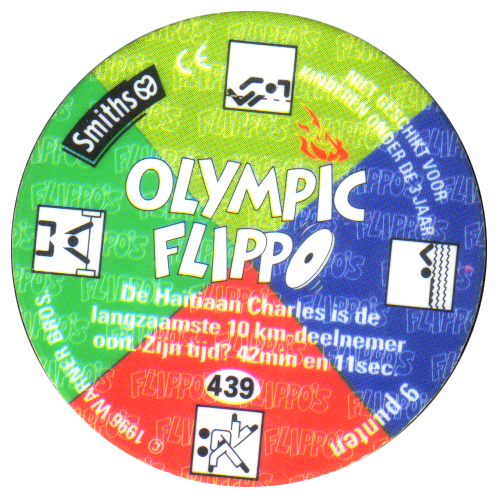 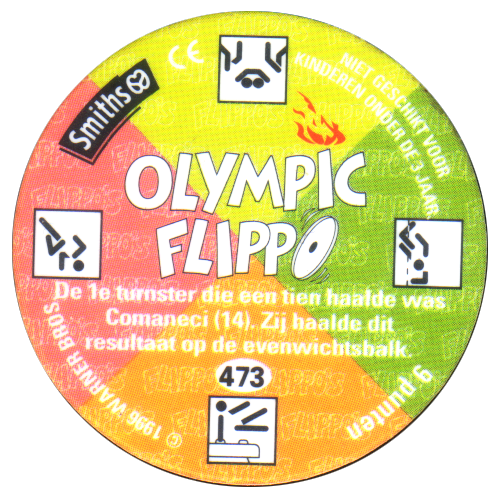 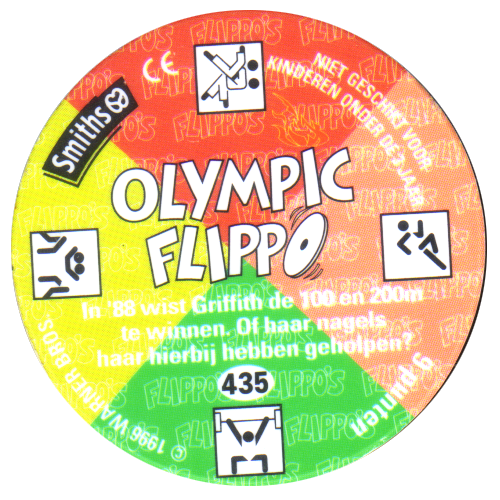 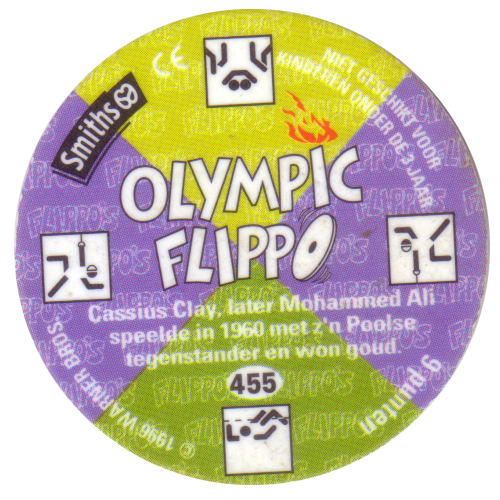 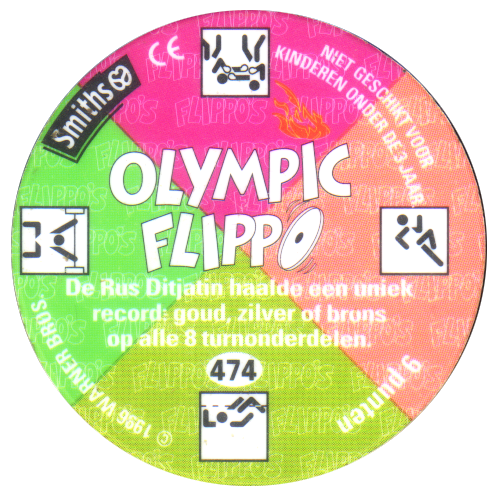 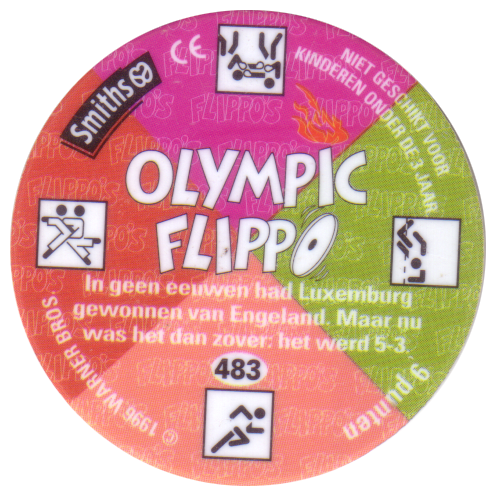 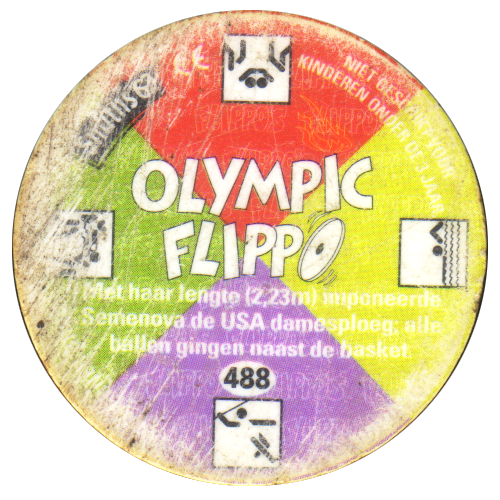 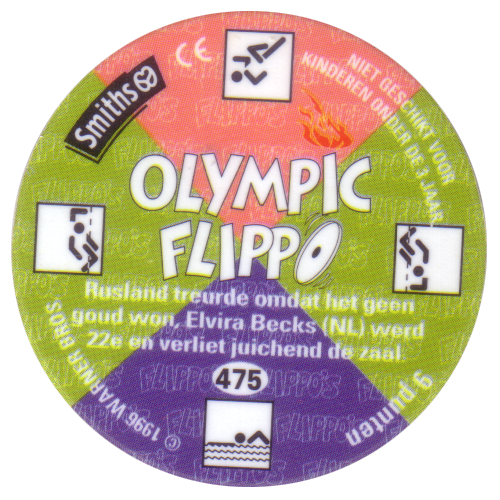 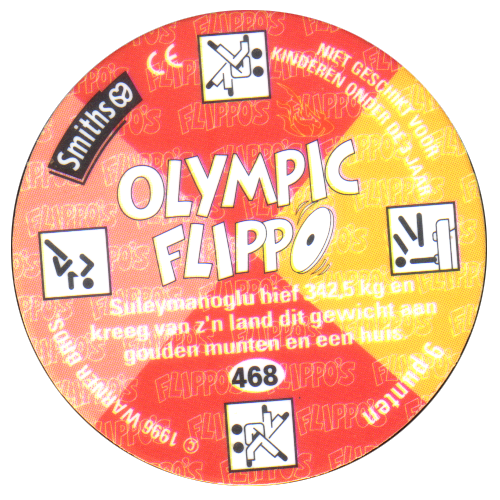 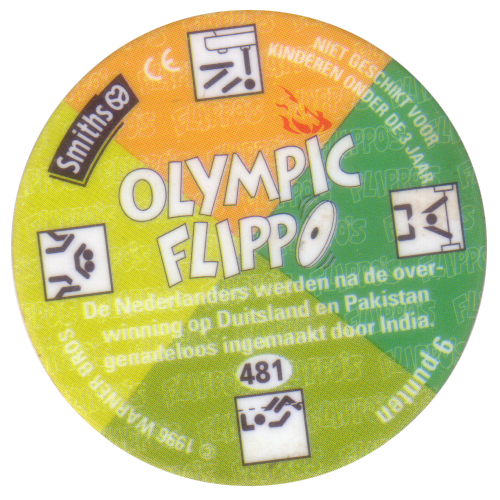 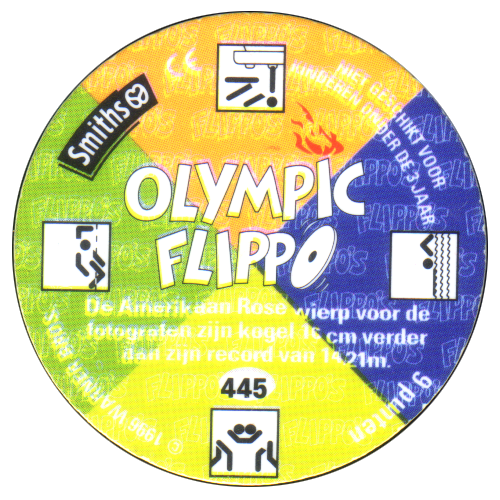 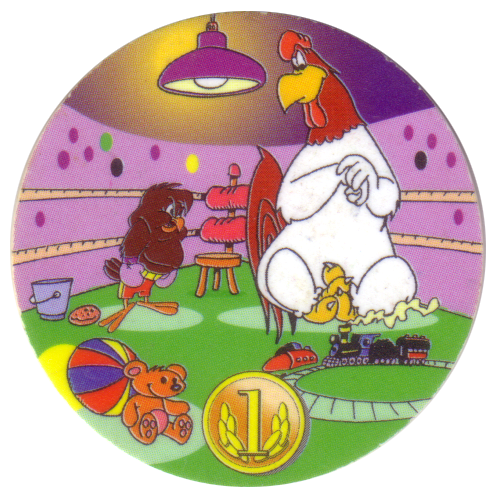 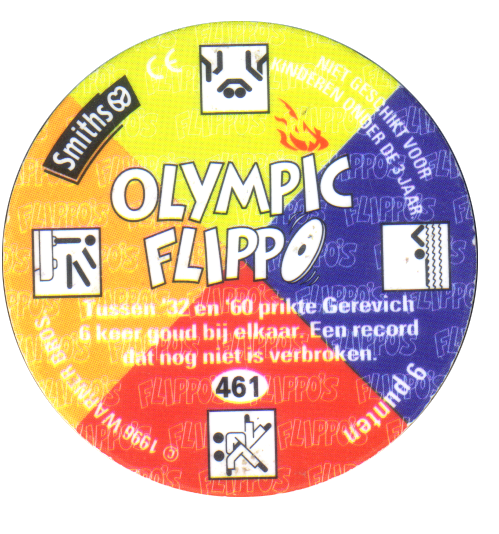 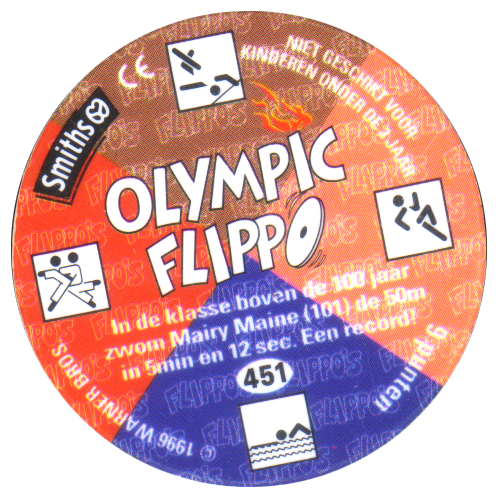 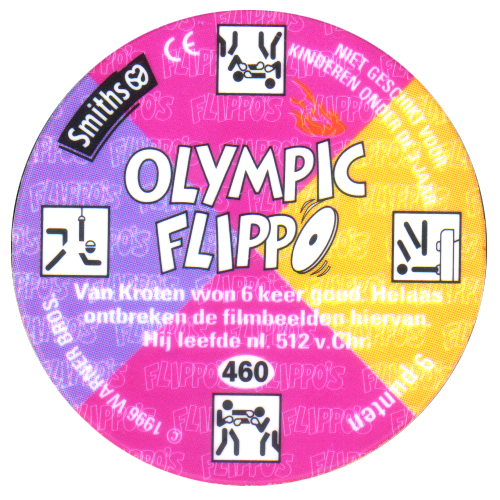 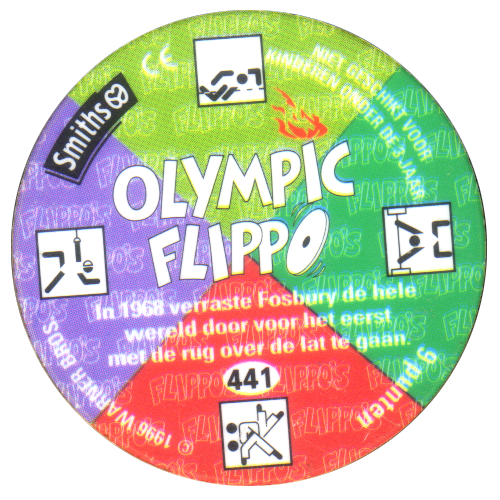 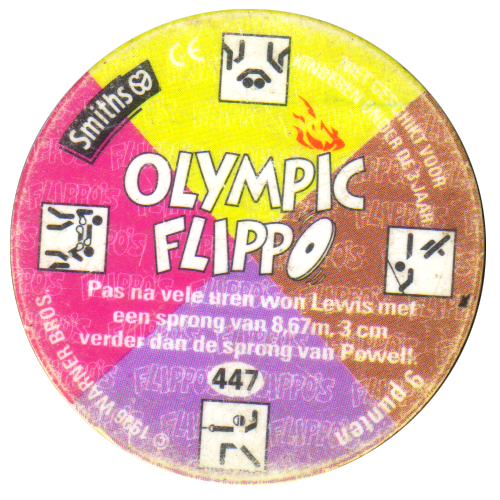 Info:Released to coincide with the 1996 Olympic Games held in Atlanta, Olympic Flippos were given away in packets of crisps made by Smiths in the Netherlands. 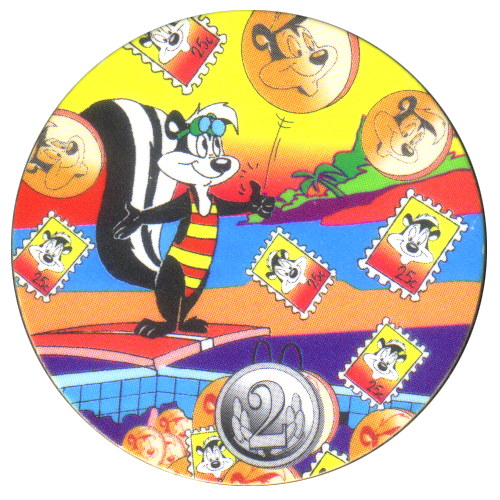 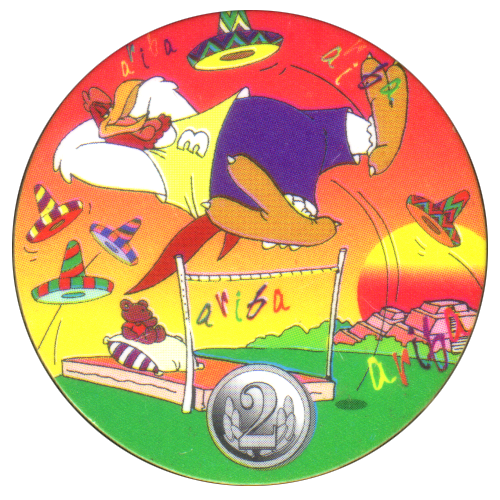 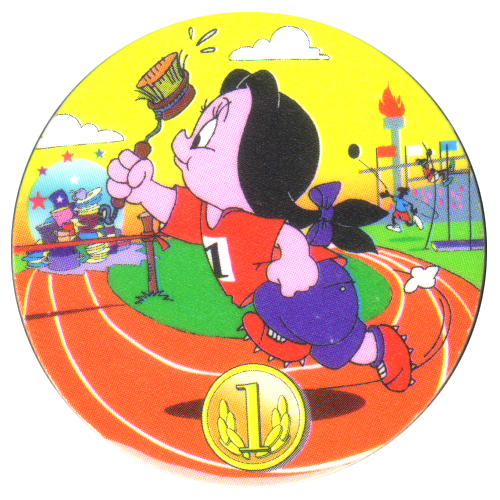 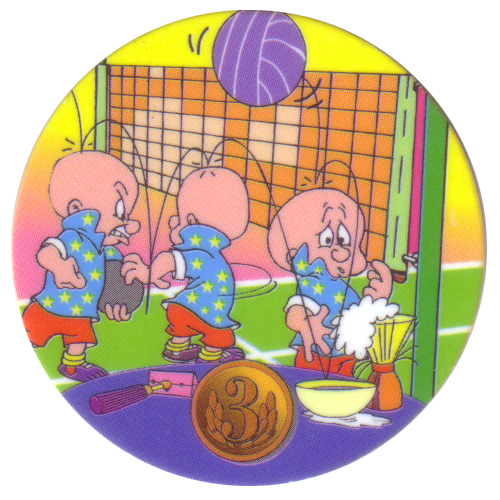 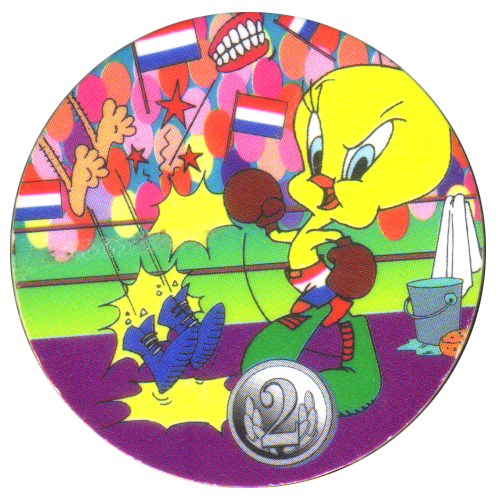 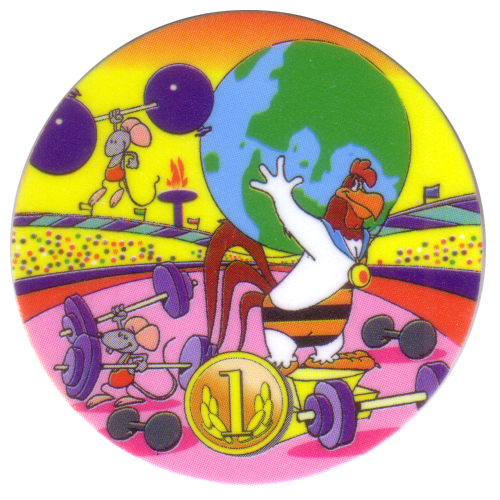 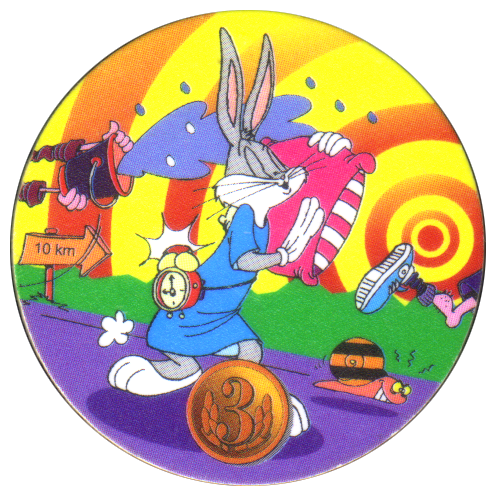 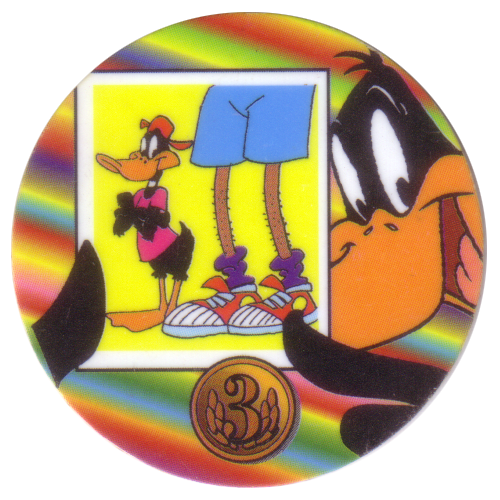 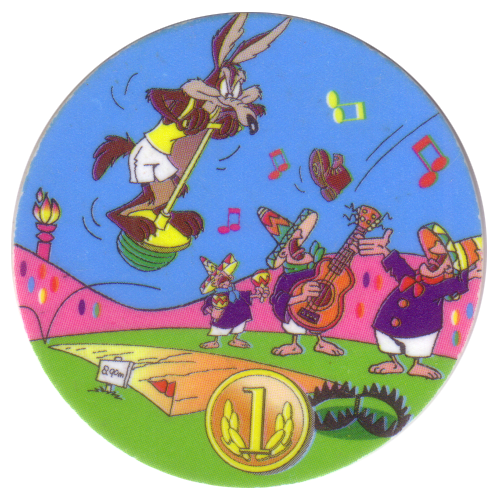 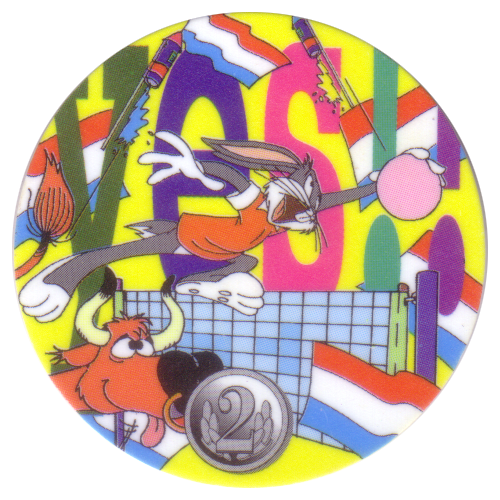 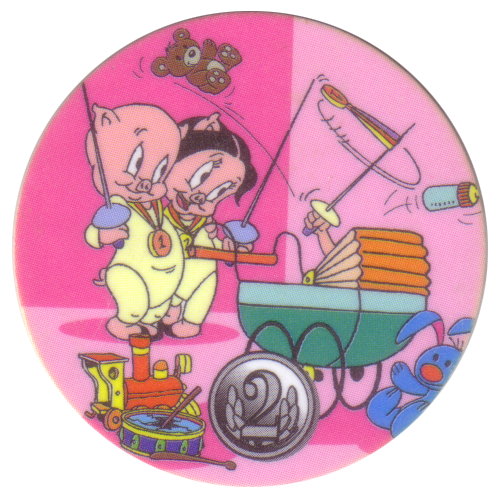 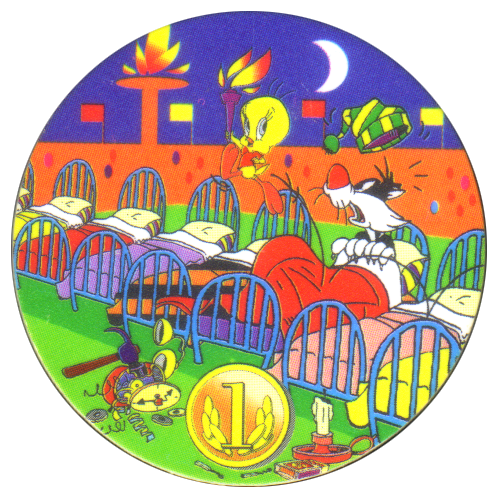 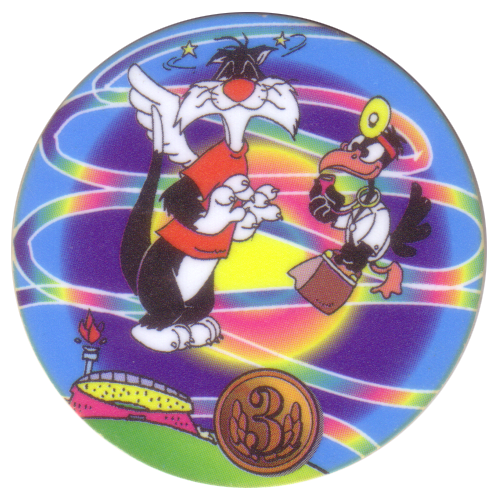 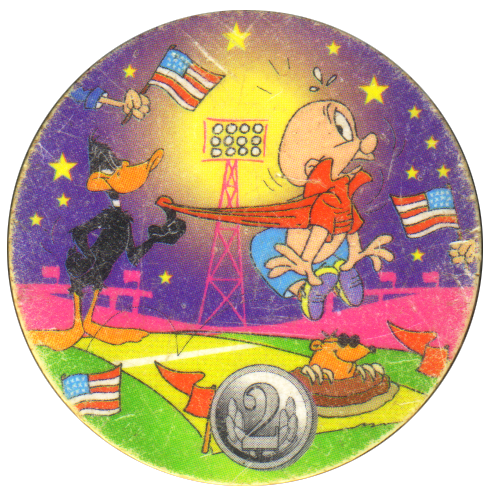 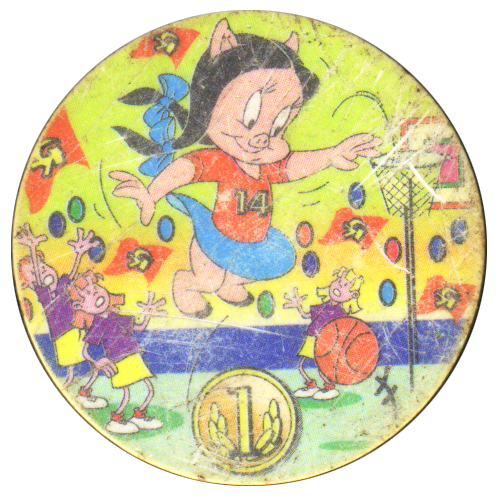 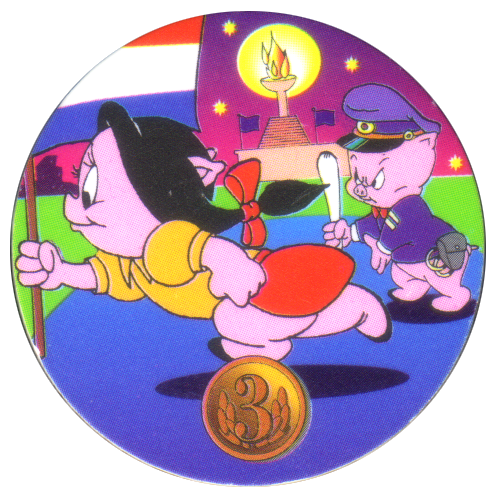 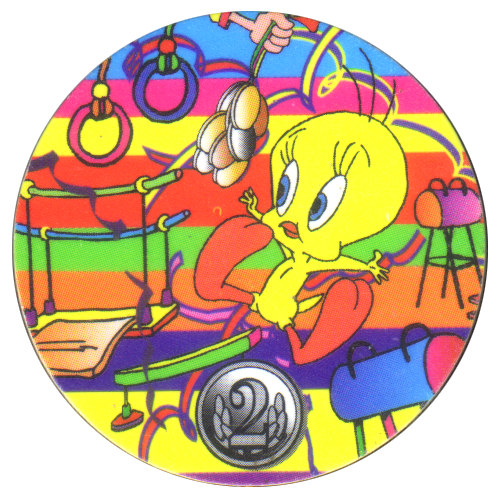 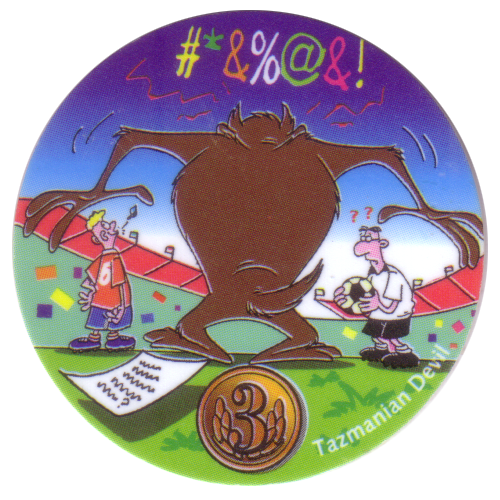 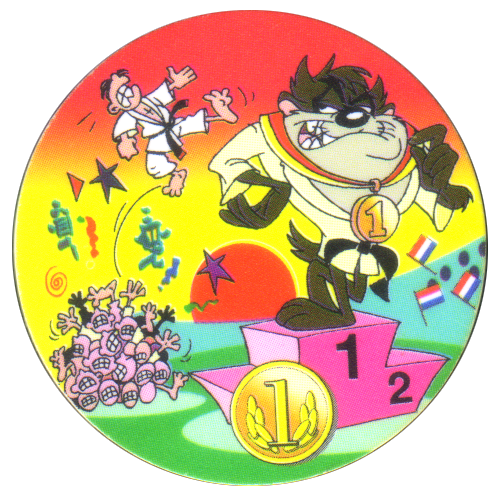 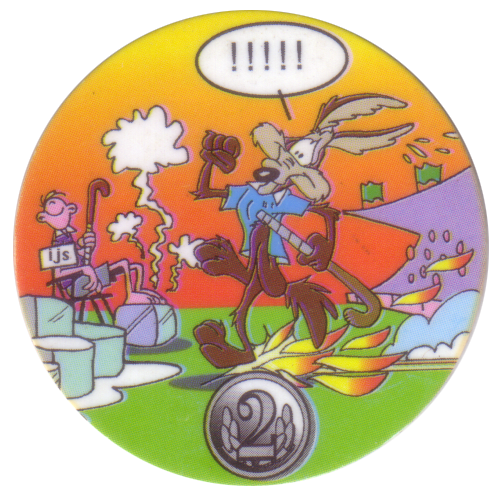 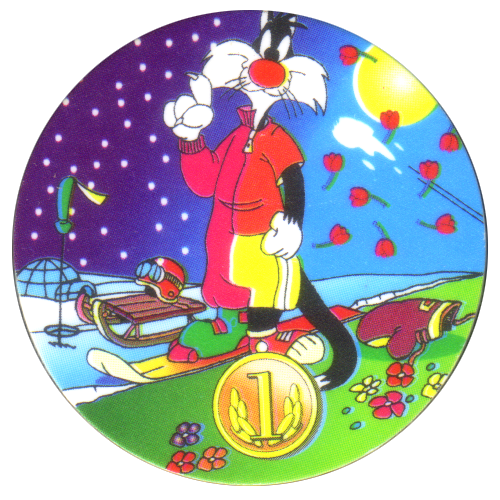 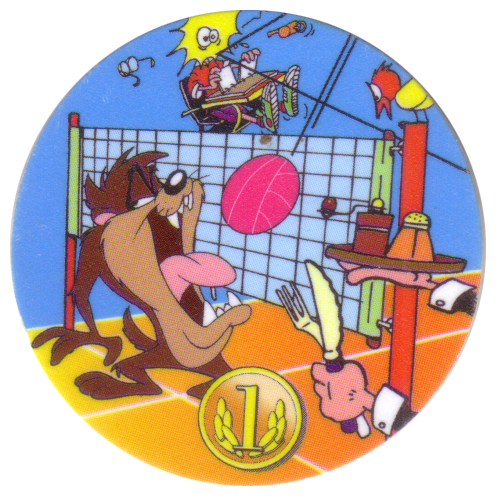 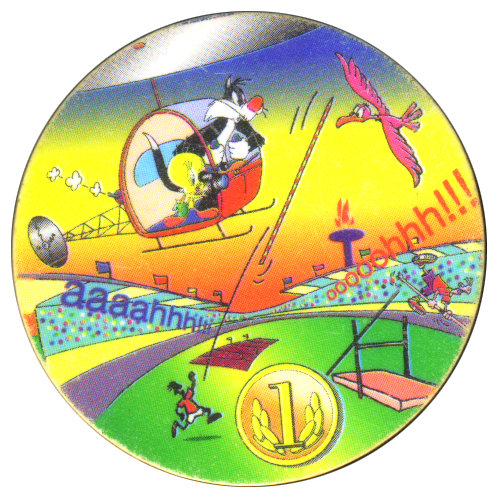 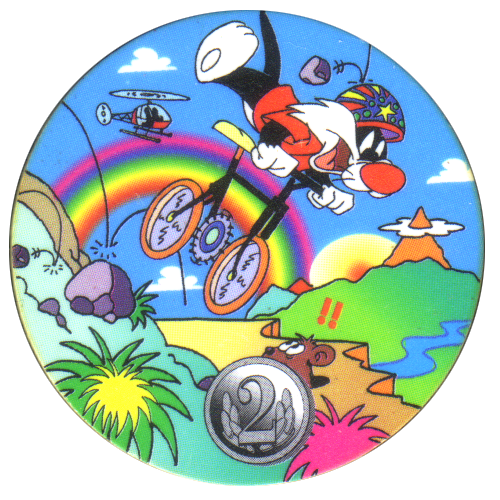 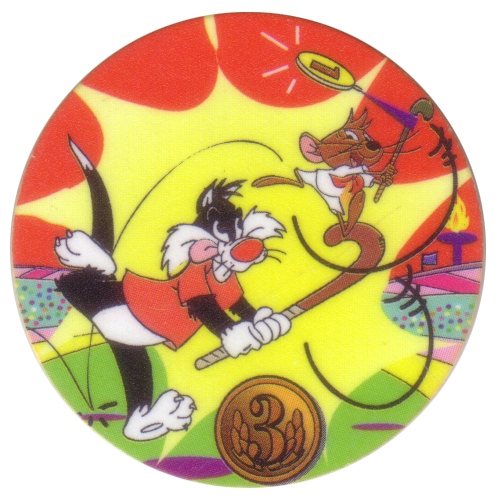 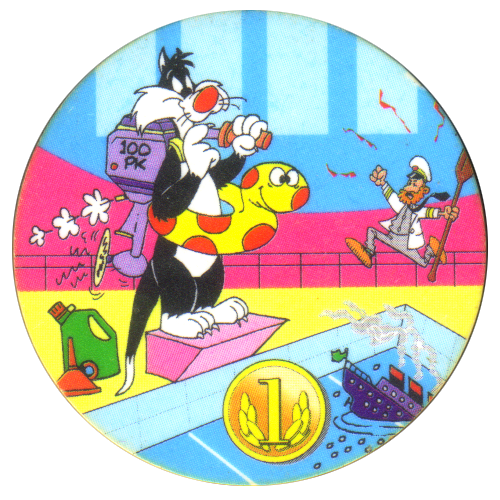 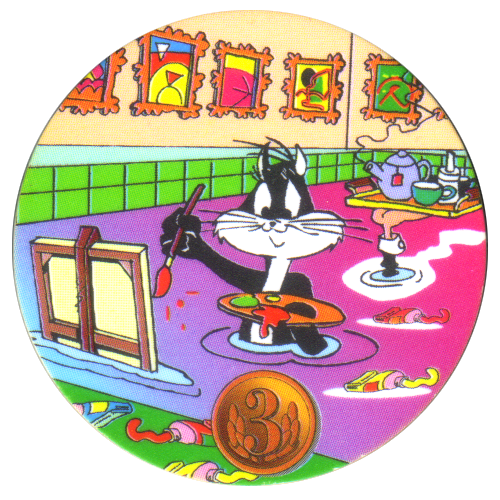 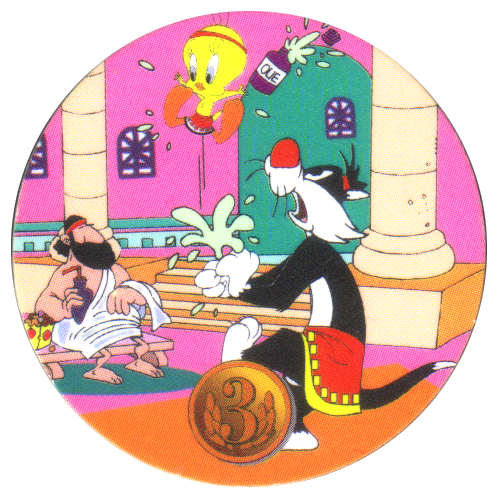 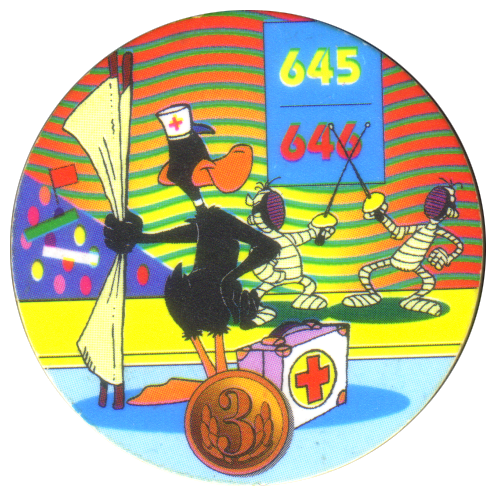 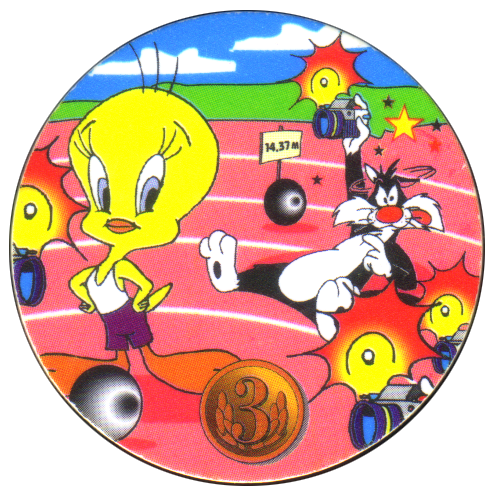 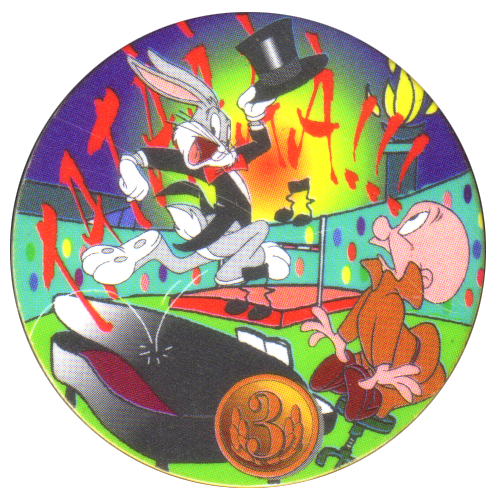 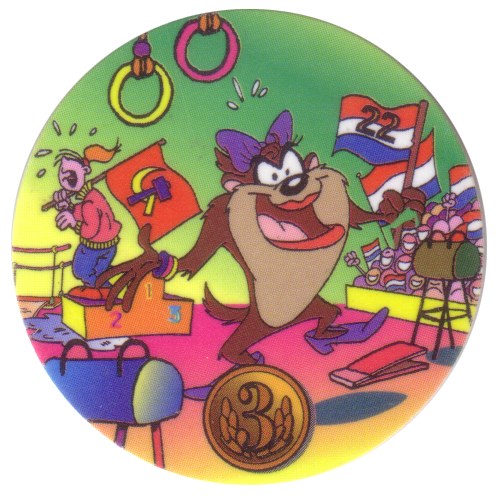 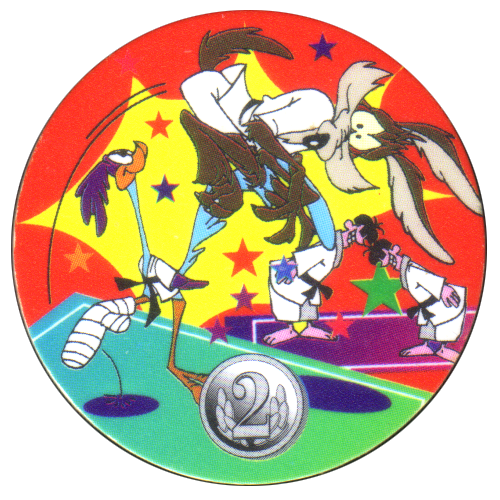 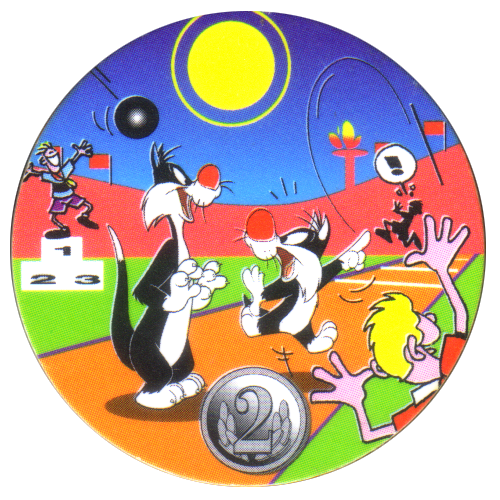 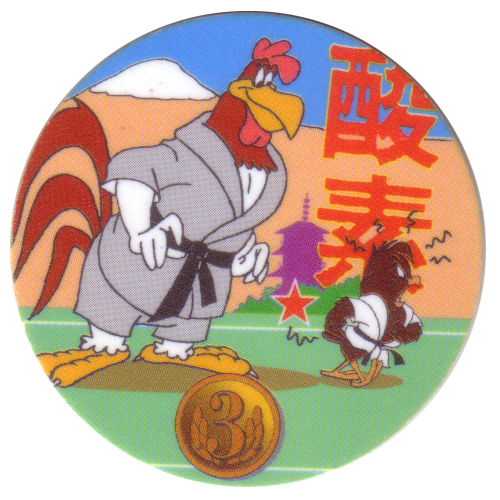 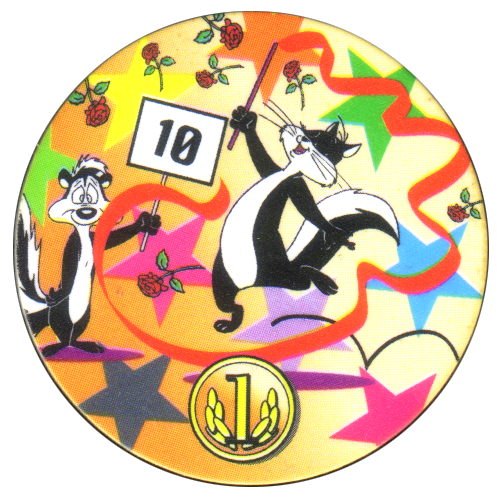 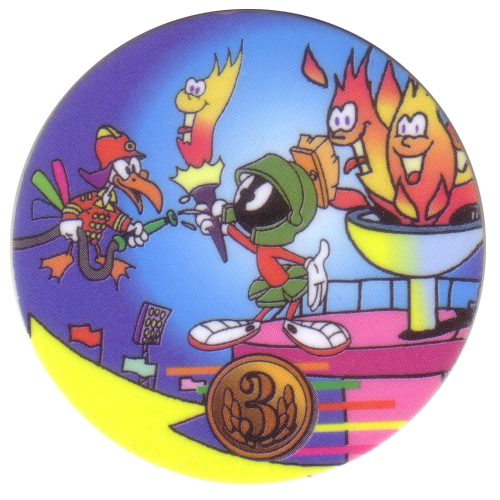 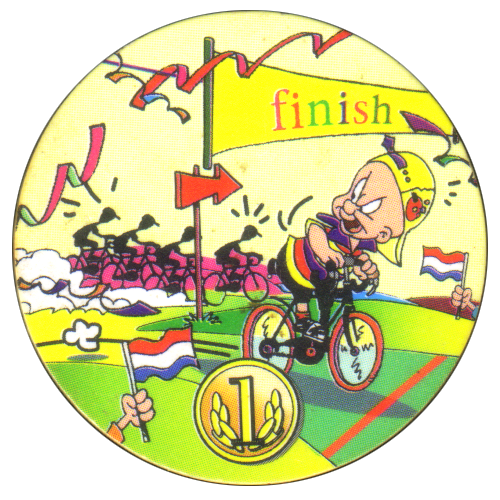 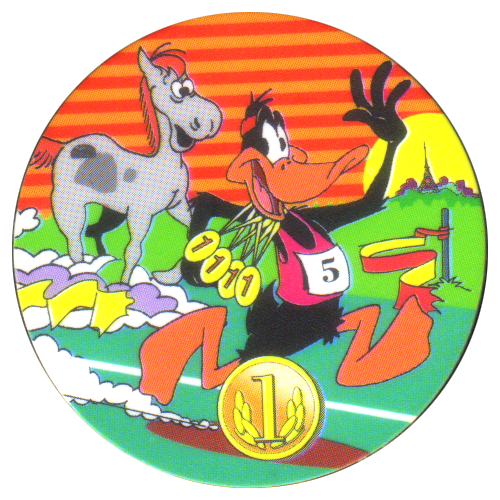 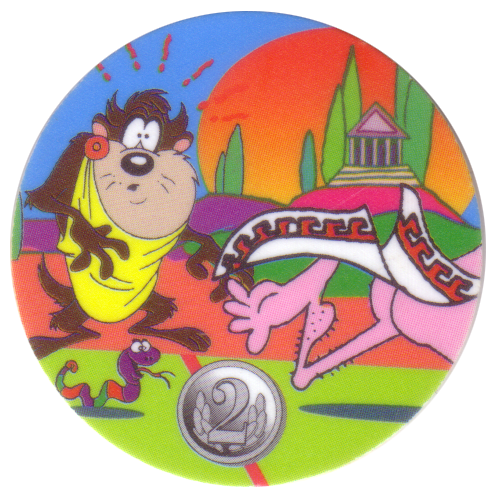 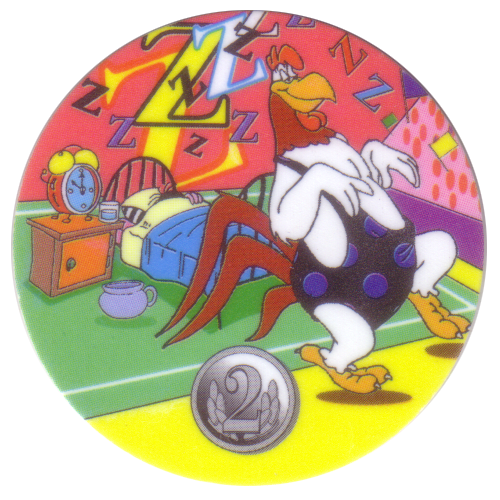 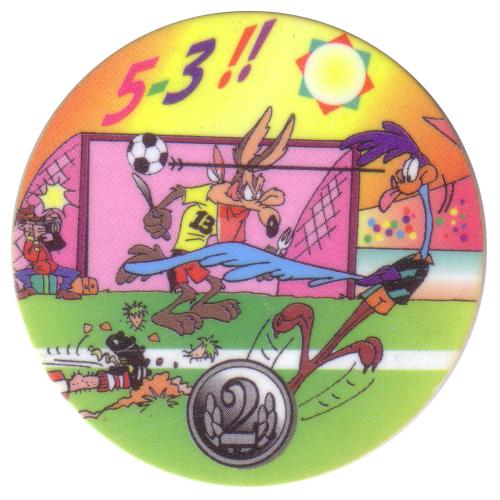 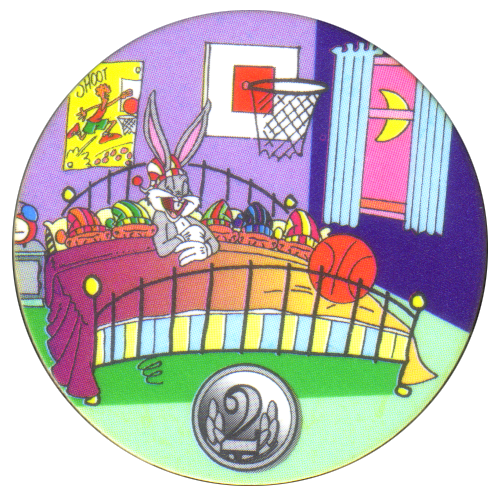 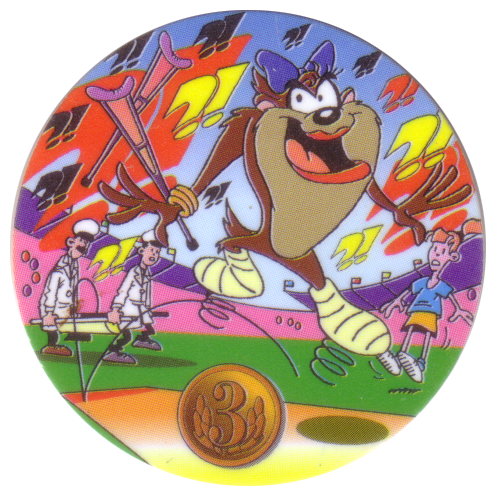 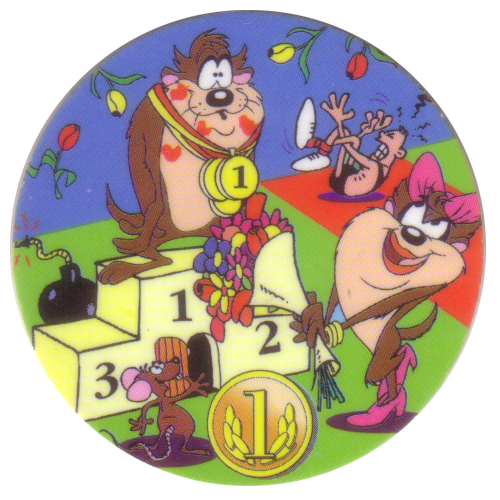 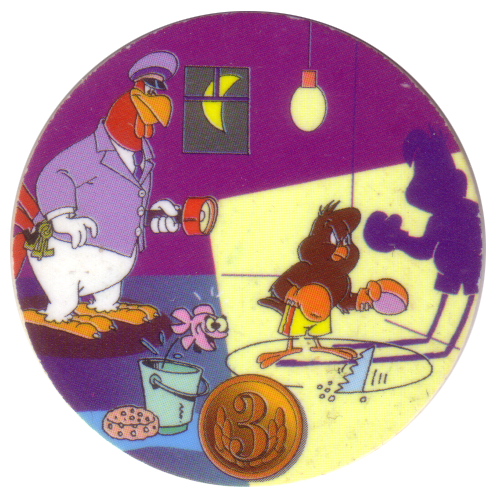 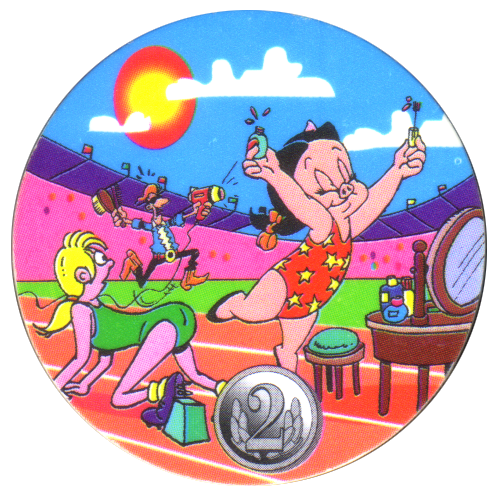 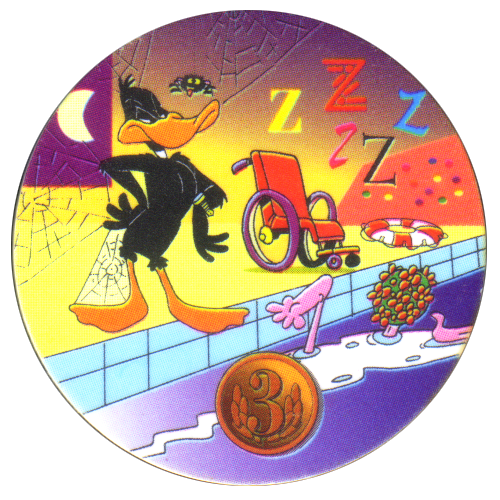 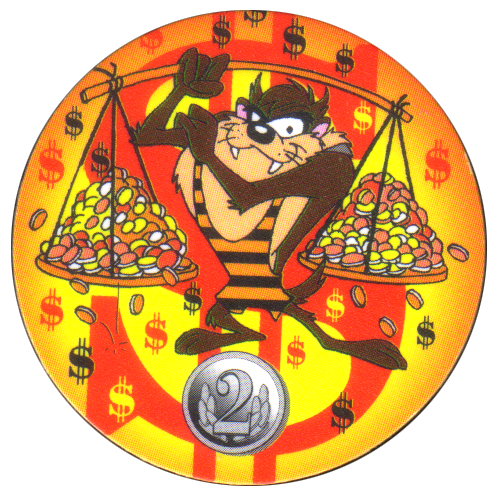 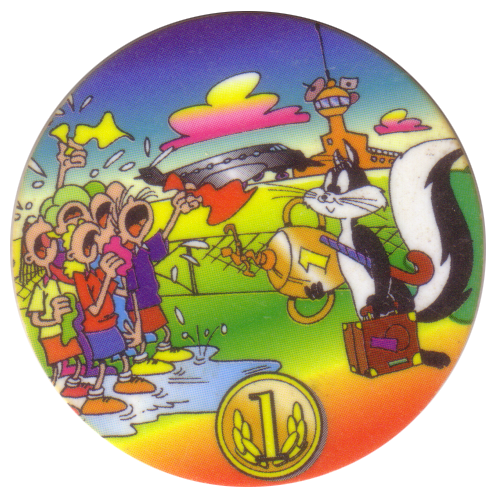 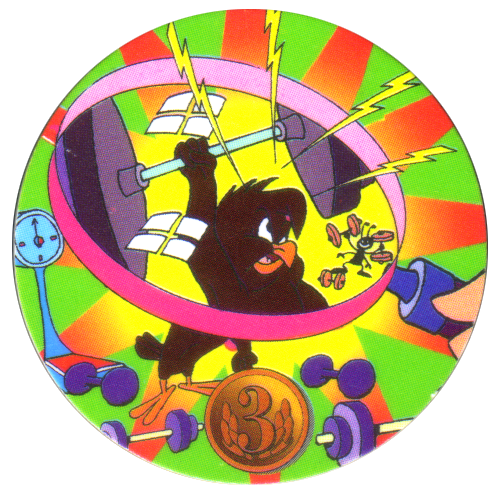 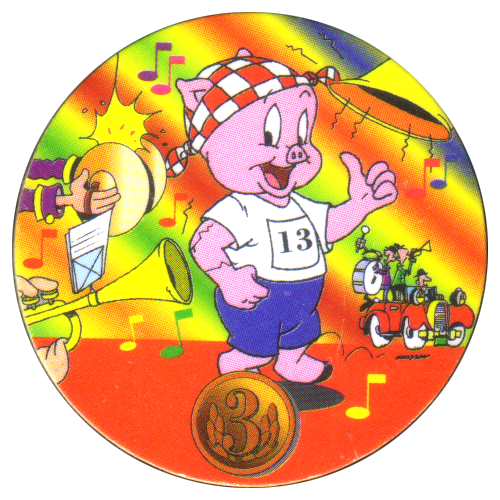 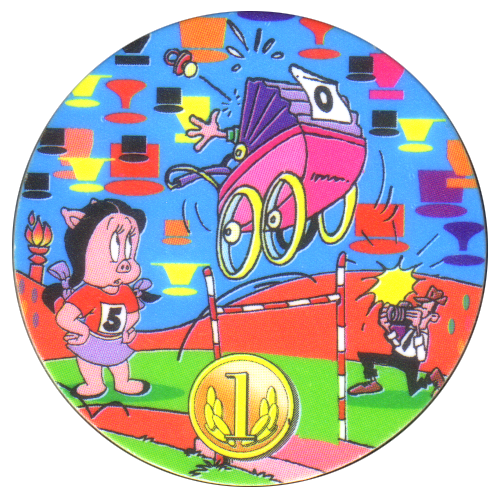 They all feature Warner Bros Looney Tunes characters in some sports or other olympic related situation. 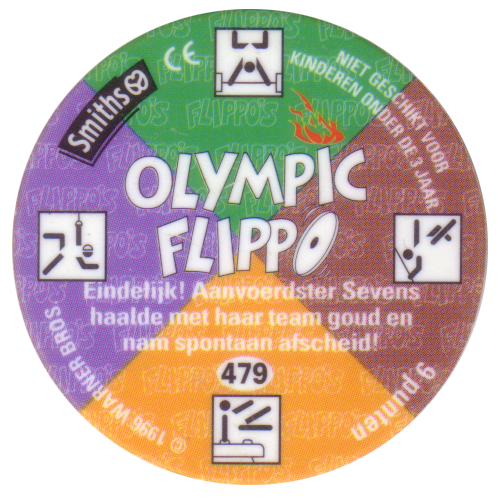 On the back of each cap it gives the number of the cap and a fact relating to the Olympics. 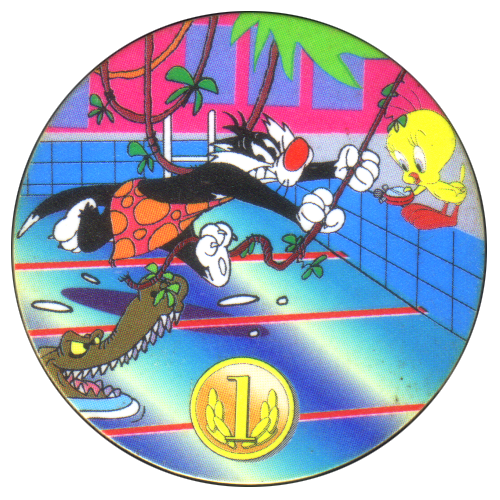 They also have a point score, which is 9 points.